Insure What You Don’t Have Yet–a New Home! Does that sound crazy? 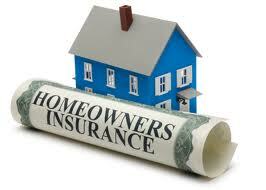 Shopping for home insurance before you even have a house? Actually, that’s the best time to shop around because you can get real estate coverage quotes based on region, square footage and the neighboring crime statistics. Keep in mind that the insurance agent will not tell you it’s because of local crime-that portion of the investigation may have to be done by talking to local residents. However, when you start to review these various quotes, you’ll narrow it down based on cost and coverage features. In order to have a new home loan approved, you will need to have a policy in place, so this is simply a first step. Of course, the details will need to be hammered out once you’ve chosen a permanent residence. Until that time though, you can tell the agent what kind of house you’re looking for and in what city. This should give them enough facts so they can figure out the rest on their statistics. Shopping around at this time also lets you evaluate different discount levels through the providers. Some of these are bound to more homeowner friendly than their competitors making this is a very important decision. Once you have a quote in hand, you can use that as reference for other offers you receive via email or the telephone. Find out if there any fees to begin coverage and if any deposits will be attached to your first bill. This helps you plan out your monthly expenses along with your regular mortgage. Keep in mind that these agents are happy to explain deductibles and coverage amounts if you’re not sure how much you’ll need. They will tell you the most common choice of deductible and you can work that into your budget. For first-time homebuyers, you can always get a basic policy and then increase that later on as you acquire more belongings. If nothing else, you’ll have the basic coverage and at least be able to recover the basic necessities. When you have a family, this is going to help you get started again and recover from whatever the incident was. You’re making a large investment into a home for your family, so you have every motivation to protect it financially. This policy is going to be your one saving grace when a disaster comes along and the monthly deductibles are a small sacrifice compared to the payouts.